We used to rock date nights. You know, before we jumped on the marriage train. That’s usually how it goes, right? You meet someone, you get curious about them, you start learning, talking, observing, and getting to know them. Eventually, you both decided your friendship is more than a friendship and you decide to treat it as such. We had some pretty amazing dates. It wasn’t uncommon for us to end up on a new hiking trail or to find a new inlet view while chasing the sunset. We could spend hours playing cards games, writing music, or just enjoying each others company. It didn’t always have to be a big production. It was those moments invested in each other that kept the “fire burning,” as they say. And then we got married, and without even realizing it, things changed. We found ourselves battling for each other’s time. We could make time for work, hobbies, our friends, our kids, and even ourselves. But we struggled to make time for us; time for our marriage. Can You Relate? Now, don’t get me wrong. We loved each other and even missed each other. It wasn’t hard for us to admit there was a disconnect somewhere. But acknowledging a problem isn’t the same as doing something about it. If we wanted to get back to that place where we were thriving as a couple, we were going to have to make some adjustments. We realized we needed to start saying no the things that consumed our time and yes to more of the opportunities that gave us time together. To put it simply, we decided to start dating again. Our date nights don’t look like the average couple’s. They don’t cost exuberant amounts of money, and to be honest most of them don’t even require us to leave the house (as a mom of three boys, I truly appreciate that perk). All we need is a little creativity and each other. For us, it’s as simple as choosing one night of the week – every week – to be exclusively our time. And we have fun together (Here are 10 Fun ideas to get you started)! Because our marriage is our first priority as a couple we plan our days around our quality time together. Some days we just talk, while others we get a bit artsy. We might watch a movie or have a late night dinner in the kitchen. The possibilities are endless. And it’s not so much about what we do, but more the fact that we are doing them together; that we’re making time for each other just like we used to do in the good old days of dating. Sometimes you have to go back and master the basics before you can grow beyond them. Sometimes things are too hard and you need more help to get to a good place in Marriage. If that’s you, Check out the Marriage course Finding Hope and Joy in My Marriage in the HopeJoyInChrist Shop! How often do you spend quality time with your husband? What are some of the ways you enjoy spending your time together? Share your answers and ideas in the comments! I’m excited to hear from you! I’m so glad you’re here! I’m Lo Tanner. I’m an Alaska grown wife and mom of three. At my blog Mrs. 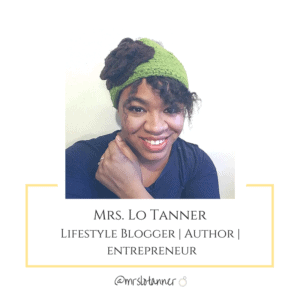 Lo Tanner I help women find practical ways to keep their relationship with Christ as the foundation for their lives and relationships. I’ve found that when we remove Christ from our relationships and daily life, that’s when things tend to get messy. Which is why my mission is to equip women with the skills, insights, and tools necessary to be the women called us to be, within the life and marriage He’s designed and purposed for us. I'm so glad you're here! I'm Lo Tanner. I'm an Alaska grown wife and mom of three. At my blog Mrs. Lo Tanner I help women find practical ways to keep their relationship with Christ as the foundation for their lives and relationships. I've found that when we remove Christ from our relationships and daily life, that's when things tend to get messy. Which is why my mission is to equip women with the skills, insights, and tools necessary to be the women called us to be, within the life and marriage He's designed and purposed for us.